The psychoactive cannabinoid THC has shown promise in slowing mental decline that can affect up to half of HIV patients. It’s thought that cognitive function decrease in many HIV patients is a result of chronic inflammation that can occur in the brain, which happens due to patients’ immune systems constantly being stimulated to ward off disease. 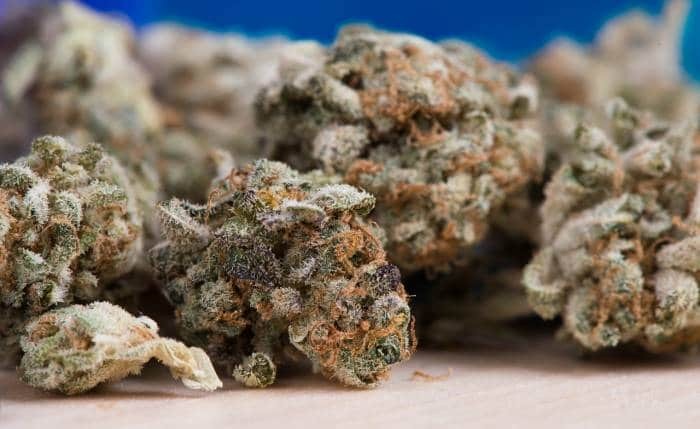 A recent Michigan State University study says marijuana compounds can act as anti-inflammatory agents, reducing the number of monocytes and decreasing the proteins they release in the body. “This decrease of cells could slow down, or maybe even stop, the inflammatory process, potentially helping patients maintain their cognitive function longer,” said the study’s co-author, Mike Rizzo. Blood samples from 40 HIV patients revealed those who didn’t smoke marijuana to have very high level of inflammatory cells. Those who did use marijuana had levels “pretty close” to a healthy person not infected with HIV. Rizzo stated the revelation could also have implications for other brain-related diseases such as Alzheimer’s and Parkinson’s, as the same inflammatory cells have been found to be associated with those conditions. Results of the study have been published in the journal AIDS. In related news, a new study on the effects of marijuana on patients with HIV is getting into gear at the University of Florida. The University received a $3.2 million grant from the National Institute on Drug Abuse in August this year. According to the University, Florida has the highest rate of new HIV infections and the third-highest number of persons living with HIV infection in the USA, with nearly half of those with the condition now aged 50 or older. The team will evaluate health outcomes including HIV viral suppression and biological markers of chronic inflammation. Participants for the study, which is said to the largest of its kind, are currently being interviewed. Terry Lassitenaz writes exclusively for Hemp Gazette and has done so since the site launched in 2015. He has a special interest in the political arena relating to medical cannabis, particularly in Australia, and addressing the many myths surrounding this incredibly useful plant. You can contact Terry here.